I am beaming today as I’m packing up my inaugural month of Stationery Subscriptions to send out. 14 this month, which I think is pretty darn good for my first month! If you haven’t gotten your order in yet, I’m sending them out in the next few days and there’s still time! 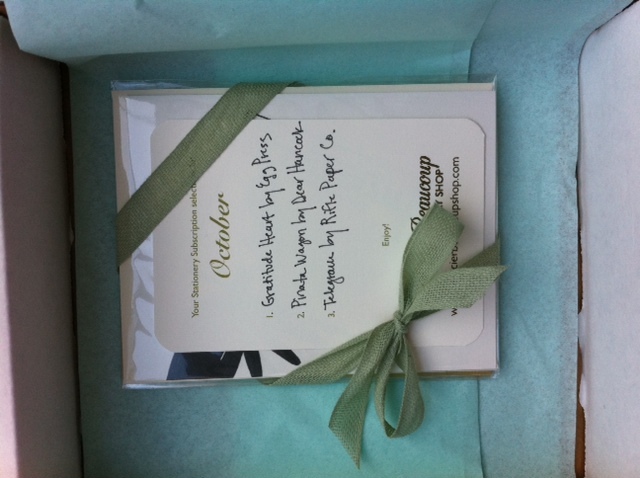 Also, the subscription will be an awesome holiday gift so keep that in mind too. Great job! 14 is amazing for the first month – so proud of you!